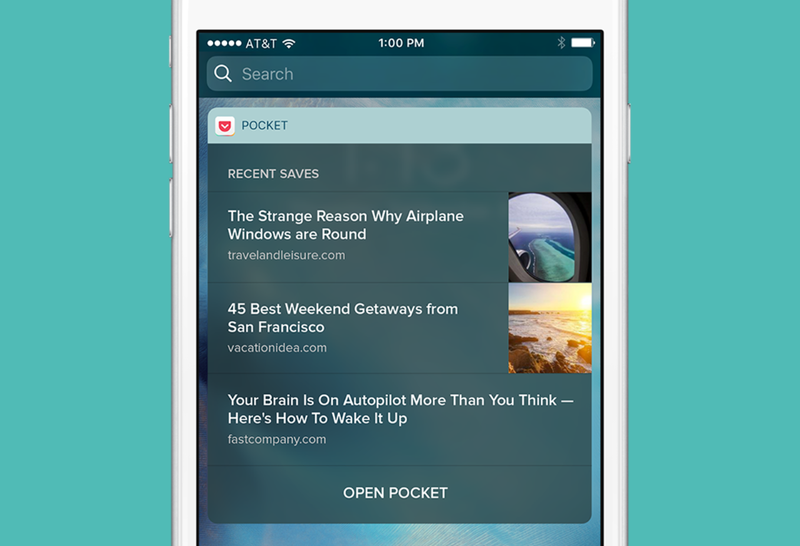 The Pocket Widget lives on your Search screen in iOS 10 and makes it easy to return to your recently saved items. Here’s how to enable the widget, and get the most out of its added functionality. To enable the Pocket Widget, visit your Search screen by swiping right from your Lock Screen or from the first page of your Home Screen. Next, scroll all the way to the bottom, and tap the Edit button. Find Pocket, and tap the green + button to add it. Don’t forget to reorder your widgets so Pocket is easy to find. Note: The Pocket Widget requires iOS 10 or above. Please make sure that you’ve already updated your device to iOS 10 before following the steps above. If you’re on a device that supports 3D Touch, you can enable the widget from your lock screen as well! Just use 3D Touch on the Pocket app icon to see the widget, and tap Add Widget to add it to the Search screen. To view the Pocket Widget, swipe to the right from your Lock Screen or the first page of your Home Screen. It will appear among other widgets that are already enabled. You can control whether the widget shows your 1 or 3 most recent saves - just tap Show More or Show Less to toggle between the two. If you’re on a device that supports 3D Touch, you can view the Pocket widget from your Home Screen as well! Just use 3D Touch on the Pocket app icon to see your most recently saved item.